Visit our Arts & Crafts section to get your own 'mochila', the charateristic and traditional woolen bag, handmade by the Arhuaco women of the Sierra Nevada de Santa Marta, Colombia. We support different projects created by members of the indigenous communities. The projects focus on improving Health issues, Education and the strengthening of their culture among others. Tell your friends and family about these threatened cultures. There's no better way to make an impact than to become an active advocate yourself. Please help us spread the word! Worldwide there are about 370 million indigenous people and constitute about 5% of the world's population. Despite the efforts that have been made by international institutions and governments to improve the rights of indigenous peoples, their situation is still far from acceptable. 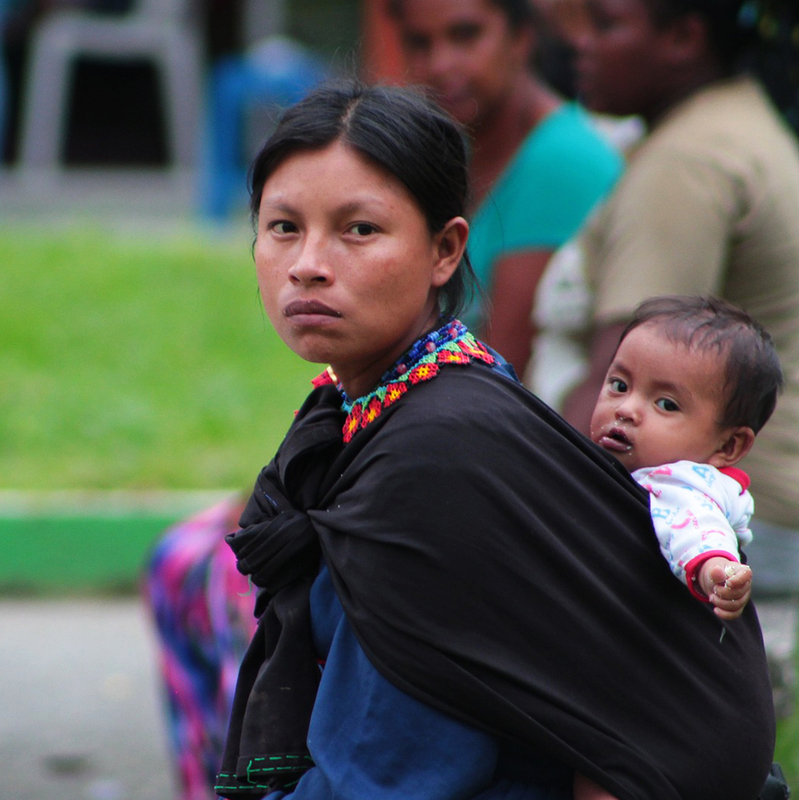 According to a UN publication on the state of the world’s indigenous peoples in 2010, they are among the most impoverished, marginalized and frequently victimized people in the world and continue to suffer from disproportionally high rates of poverty, health problems, crime and human rights abuses. We want to make a difference by helping indigenous groups to gain more strength in order to facilitate the preservation of their culture and traditions, their territory and the improvement of their general welfare. We do this by working closely with members of indigenous communities. Our projects, which are defined by indigenous people, are accepted by the elders of the indigenous communities as well as by the rest of the members of the communities who are predominantly the ones who will carry them out.